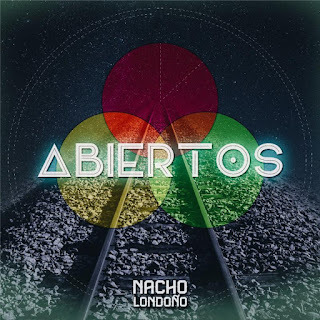 Colombian singer-songwriter, Juan Ignacio "Nacho" Londoño, releases "Abiertos" (Open), first single off his first album as a solo artist, Final (End). Written by Nacho Londoño, "Abiertos" was recorded in Miami's Hit Factory Studios under the direction of Matt Knoble(Lenny Kravitz). "'Abiertos' is inspired by those restless nights when your head is spinning a thousand miles per hour. You stop and think about the love that surrounds you, about your fears and triumphs, and what is left to go and explore," Londoño said. Final is a fusion of musical influences; an alternative-experimental pop production with brushstrokes of folk and rock and produced by Londoño and Matt Knoble. The album features Mark Kondrat and Javier LaKambra Delgado (Locos por Juana) on guitar and drums respectively, Sammy Gonzalez on bass, Charles Gardner (Fusik) on keyboards, and Sofy Encanto (Elastic Bond) on background vocals. One of the most acknowledged singer/songwriters of the underground music scene of Miami, FL and Puerto Rico, Colombian, Nacho Londoño's music style characterizes by a blend of influences where folk, experimental pop and rock predominates. He has worked with renowned producers and creators such as Matt Knoble (Lenny Kravitz), Tom Dowd (Aretha Franklin, Otis Lynyrd, The Allman Brothers Band), Doc Wiley (Sonic Verve Studios), Juan Pablo Manzanero, son of singer-songwriter, Armando Manzanero, A.T. Molina (Locos Por Juana, Jorge Moreno) and Itawe, Mark Kondrat and Javier 'lakambra' Delgado (Locos Por Juana). He has shared stage and worked with bands and artists such as He's My She's My Sister, La Secta, Brazilian Girls, Carlos Alberto "Nito" Mestre (Sui Generis), Jorge Moreno, Locos Por Juana, Yerba Buena, Jorge "Teresito" Correa, Jesse Jackson, Volume Zero, Sóniko, among others. His music has paved way for projects like Balcony TV and performances in LAMC, CMJ and SXSW music festivals, ASCAP-Billboard Latin Showcase sharing stage with Argentinean singer-songwriter Coti, as well as in Carnival of the Mile, Latin Funk Festival, Calle Ocho Festival and a array of concerts throughout the universities of Puerto Rico. Founder of the band Arboles Libres with which he released his first self-titled album in 2010 followed by the release of his second album, Father, in 2012. In 2014 Londoño started the creative process of his first solo album with producer, Matt Knobel (Lenny Kravitz). In 2016 he released the album Final in digital format, a fusion of musical influences; an alternative-experimental pop production with brushstrokes of folk and rock.